Location was awesome. Nice kitchen. Nice shower. Easy Check in. The hosts were fantastic and very easy to deal with. The apartment was absolutely lovely. The sauna in the bathroom was really nice. The kitchen was full of everything we needed, I really appreciated not having to bring any cleaning supplies or cooking equipment. There was even coffee! Great location, just off the water and within 5 minutes of Neue Residence with its beautiful rose garden and several restaurants and bars. beer cellar with honesty system! everything in walking distance, perfect. The apartment was beautifully appointed with modern, clean and fresh furnishings and conveniences while at the same time maintaining the lovely, historic architectural designs. Dr. Wagner, our host, was wonderfully kind at helping us whenever we had questions and he also has a lovely appreciation for the aesthetic which is seen in his gorgeous renovation of the property. 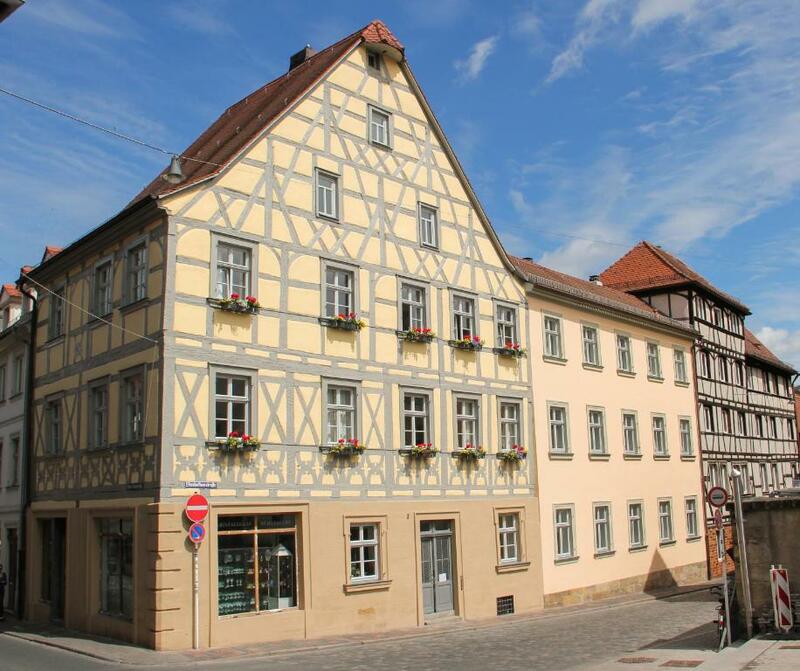 The apartment is positioned in the heart of historic Bamberg and has views as if you were walking into the pages of a beautifully illustrated history book - a true gem! Beautiful property in a fabulous location. Great communication from the hosts. 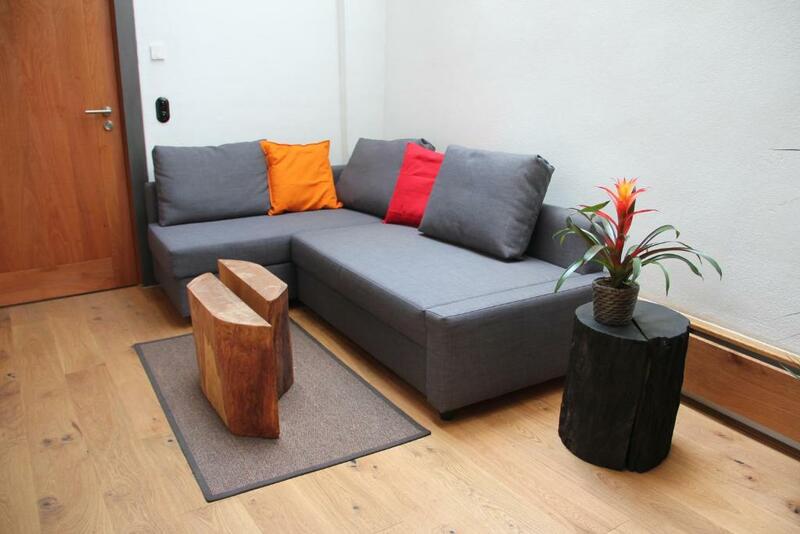 Each apartment is well appointed with quality wooden furnishings and all necessary amenities and utensils. The design is tasteful, simple, and in keeping with the historic building. The historic centre and major sights are in easy walking distance and I felt very much welcomed by the friendly proprietor. Loved the Sauna! Log burner and traditional design. Plenty of towels! And great hot shower! The location was convenient also! Next to a gorgeous restaurant Die Kuche. Probably one of the safest places I’ve ever stayed and visited even if a prison was right behind it! thumb up for the private SAUNA!!! and the fireplace… cannot be more cozy than that! Lock in a great price for Altstadtpalais im Sand – rated 9.2 by recent guests! 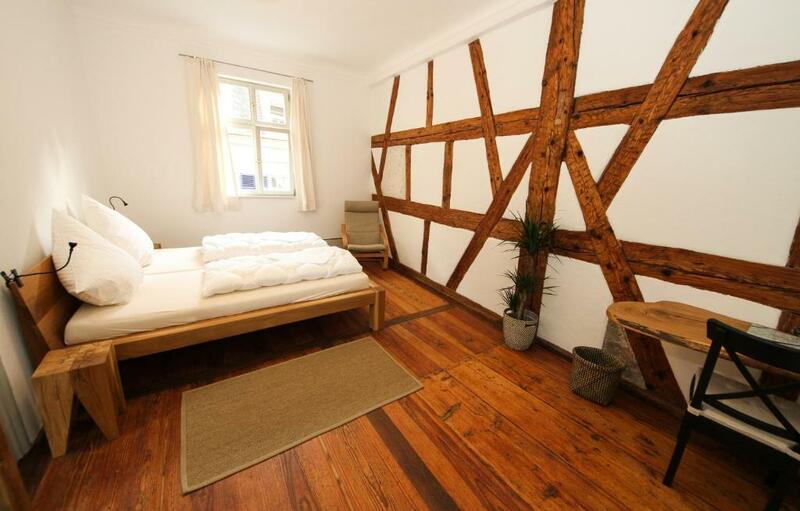 Located in the scenic old town of Bamberg, Altstadtpalais im Sand offers cozy accommodations with baroques staircases, stucco ceilings and timbered framework. Free WiFi is available through out the entire building and guests receive a small bottle of homemade quince liquor in the apartment. 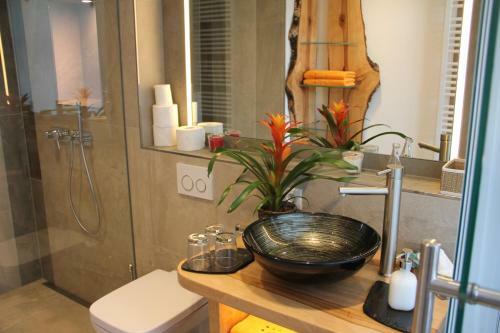 The apartments at Altstadtpalais im Sand are each individually decorated with great details and feature a seating area and a private bathroom with either a bath or shower. Guests can enjoy the view of the city from the room. Guests are welcome to use the laundry room with a washing machine, tumble dryer and iron free of charge. Altstadtpalais enjoys central location in the city of Bamberg with the Imperial Cathedral Kaiserdom only 650 feet away and the beautiful Little Venice is only less a 4-minute walk away. Check out Pedestrian Area Bamberg (1,650 feet) and Bamberg Central Station (0.9 mi). 뀐 Located in the top-rated area in Bamberg, this property has an excellent location score of 9.6! When would you like to stay at Altstadtpalais im Sand? This apartment has a kitchen including a microwave, tile/marble floor and electric kettle. This apartment has a kitchen and a private bathroom. This apartment has a kitchen as well as a washing machine and a tumble dryer. There is a sauna in the modern-style bathroom. House Rules Altstadtpalais im Sand takes special requests – add in the next step! Our champagne flutes disappeared the second evening and we don’t know why! The sauna was easy enough to use but a guide may have been advantageous. Also we thought we were having a complimentary liqueur however there wasn’t one! Everything was PERFECT: the only thing personally I would add is some black-out curtains - I cannot sleep correctly with the light coming from outside or the morning sun. Everything perfect, as always. Owner is very firendly person. Interiors are beautiful and very cosy. I will very much recomend this place to everyone. Must be very noisy (late night street noise) when the weather is warmer. Even with the windows closed all the time, the late night revellers could be clearly heard. Double glazing might be the only solution. Very well outfitted bathroom, good sized apartment, impressive combination of “character” and modernity. Although on the edge of the pedestrian zone, there is traffic just below the windows and drunken revelry on weekends until 4 am. There is good double glazing, so this is only an issue in hot weather. 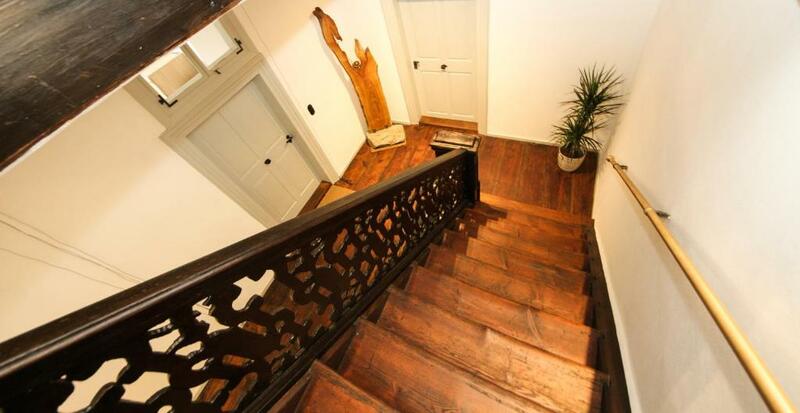 A beautifully restored 'half-timbered' 16th century mansion in the old town overlooking an old square. Just steps from the river. Excellent kitchen facilities and very large, spacious rooms. For almost EUR 200 a night we were a bit surprised to have to make our own beds up. 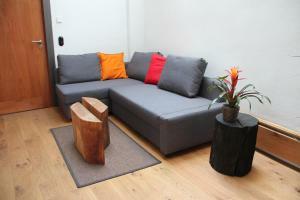 We had a lovely stay in this well-located, lovingly restored apartment. The facilities were modern and the natural wood theme worked nicely. We had access to a small courtyard with chairs and a table and a selection or wine and beers was available on an honesty-box basis. Highly recommended. No AC. Bed was a little uncomfortable. Payment is cash only. There is 5 minutes working distance to a public parking location, which could be a problem once you travel with family with small child. But it is possible to unload and load close to the apartment. Very centred location. Easy access to the old town. The private balcony in the apartment is excellent. The wifi was the only thing that fell below par... it was slow and didnt work most of the time. Pretty much EVERYTHING! The location was unreal, the room was perfect! It was so clean and comfortable and you had everything you needed. The town itself is a vision as well! Fabulous accommodation in central location. Good communication with owner, easy access, accommodation even nicer than expected and great value. Liked the complimentary liqueur and jam - thank you. It was strange to put on the duvet covers ourselves. Quite noisy in the early hours of the morning as revellers gather in the square across the road or make their way home. Good, pretty location and clean, light and airy. Check in was easy and quick. 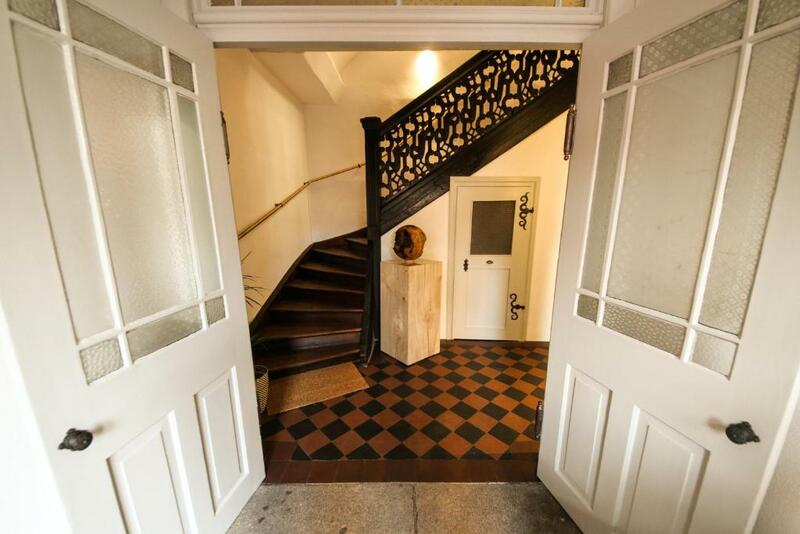 Gorgeous, stylish, well equipped, very comfortable apartments in a brilliant location in a gorgeous historical, but very tastefully renovated building in the centre of the old town. Free parking 8 mins away but can unload bags in front of the house. Paid parking a bit closer. Absolutely loved beautiful historic Bamberg and the apartment. Best place we’ve stayed over several weeks travelling around Europe. Hope to return someday.